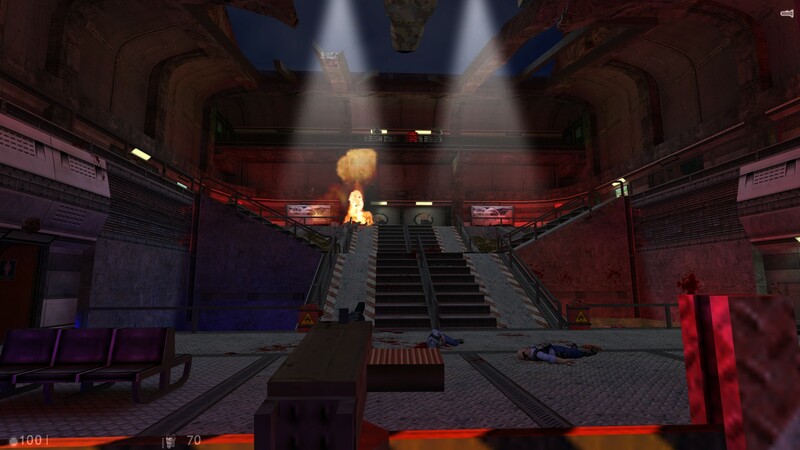 Half-Life: Echoes is the latest in a long tradition of Half-Life fan creations geared at retelling the Black Mesa disaster from alternative perspectives. 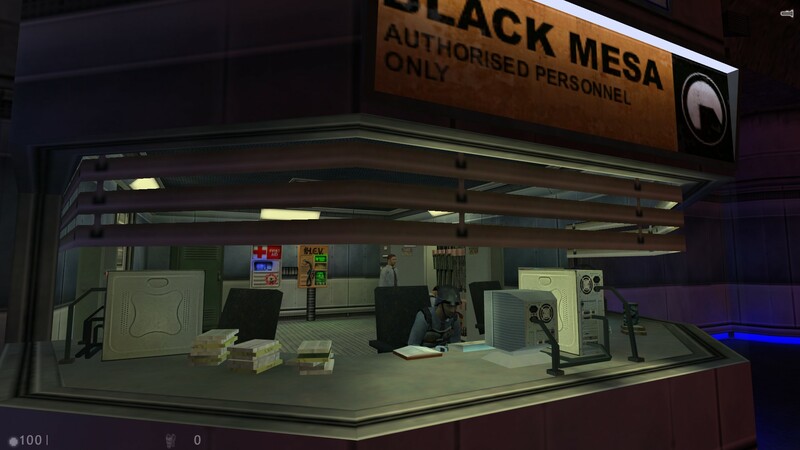 It’s an idea that was kicked off by Half-Life’s two expansions, Opposing Force and Blue Shift, while the Half-Life modding tool Worldcraft lends itself naturally to bolting on additional stories in the Black Mesa facility. Echoes takes things to another level, however. The mod is created by first-time designer James Cockburn, who has spent the last four years working on it. Players assume the role of Candidate Twelve, who, like Gordon Freeman, is another seemingly normal individual on his way to work, when the Resonance Cascade forces him to do what it takes to survive. As with Half-Life, you must fight for your life in increasingly intense and dramatic situations, all while the G-Man observes your progress from shadowy corners and elevated gantries. The mod comprises around twenty odd “maps”, which is to say areas separated by loading screens. 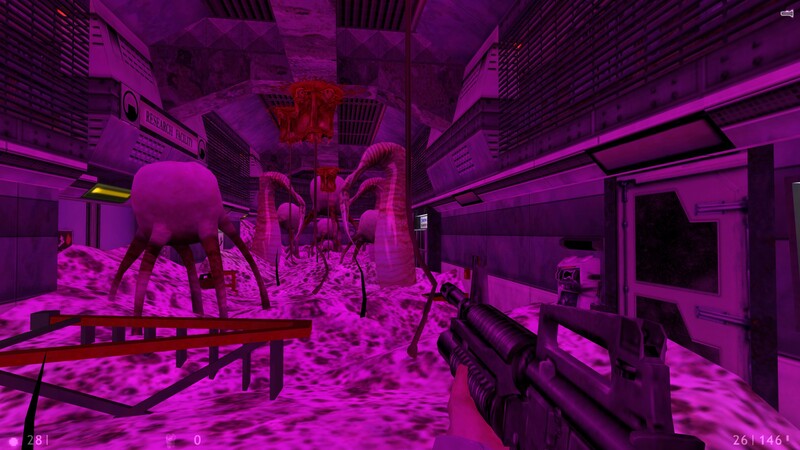 But these maps are much, much larger and more elaborate than anything you see in vanilla Half-Life. The mod commences in a cavernous underground car-park before letting you out into a massive open area where some of Black Mesa’s scientists laze around admiring the view, presumably chatting about clever science stuff, such as how they’re definitely not going to open a portal to a hostile alien dimension today. It isn’t long before the disaster occurs. Unlike Half-Life, which places you at the centre of events, the Cascade in Echoes happens much more gradually. It starts with the flickering of lights, and electrical equipment not functioning properly. 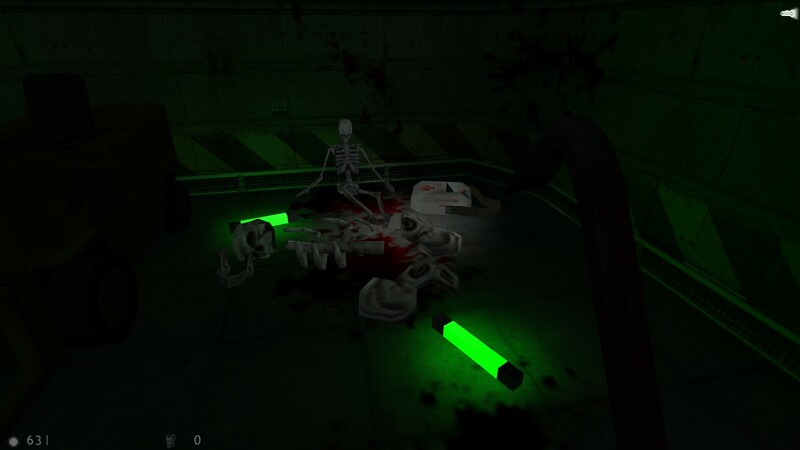 Then tremors begin running through the ground, becoming gradually more violent as you proceed deeper into the facility. 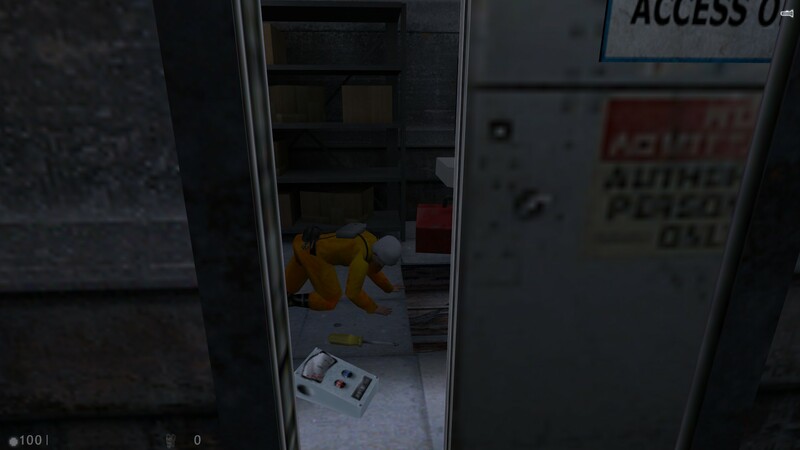 As you explore, the scientists and guards around you comment on these strange anomalies, with the mod cleverly re-purposing dialogue from the original Half-Life games to create new conversations. At first, they dismiss these events as some overambitious experiment (which is technically correct) but then grow more concerned as the tremors become more violent and the facility’s infrastructure less stable. Things come to a head when you board a train to head to another part of the facility and a hulking Gargantua monster appears and wreaks havoc in the station, trapping you in the train with several other scientists. It’s a clever inversion of Half-Life’s opening sequence, having your introduction end where Half-Life’s starts. The rest of the mod is split into two distinct halves. The first hour or so of Echoes is more survival horror than shooter, limiting you to just one or two weapons and using clever enemy placement and scripted scenes to create tension and jump scares. At one point, you’re knocked down by a headcrab zombie chucking a barrel like Donkey Kong, and are about to become lunch when the zombie is blind-sided by a far bigger and more dangerous looking monster. The next sequence sees you navigating a twisting maze of corridors and tunnels while that strange creature hunts you down. When the Marines arrive, in a sequence that rivals most Call of Duty games for its spectacle, Echoes switches into a more action-centric experience, quickly filling out your weapon roster and introducing the more powerful Half-Life opponents. It’s a speedy change of pace but not entirely a smooth one. There’s a section in the middle of the mod which involves fighting way too many tough Xen soldiers without the appropriate arsenal to do so. Fortunately, the final hour or so makes up for this, culminating in a gigantic arena fight that involves taking out countless Marines, aliens, and even a military helicopter. Even through the block polygons of GoldSrc, the spectacle of Echoes is hugely impressive, as is the detail baked into the environment. Walking around those early levels is particularly wonderful, watching all the scientists, security guards, and janitors go about their business. Later on, you’ll see the disaster unfold in countless little stories, a group of scientists attacked on a bridge running over a water outlet, a train carriage torn from its rail plunging into the cavern below, a skeleton slouched against the wall of an air-vent. Moreover, I love how Echoes adds its own little contribution to the Half-Life fiction. I won’t spoil any specifics, but it turns out that Candidate Twelve plays a small but crucial role in the aftermath of the Black Mesa disaster that has huge consequences for Half-Life 2. 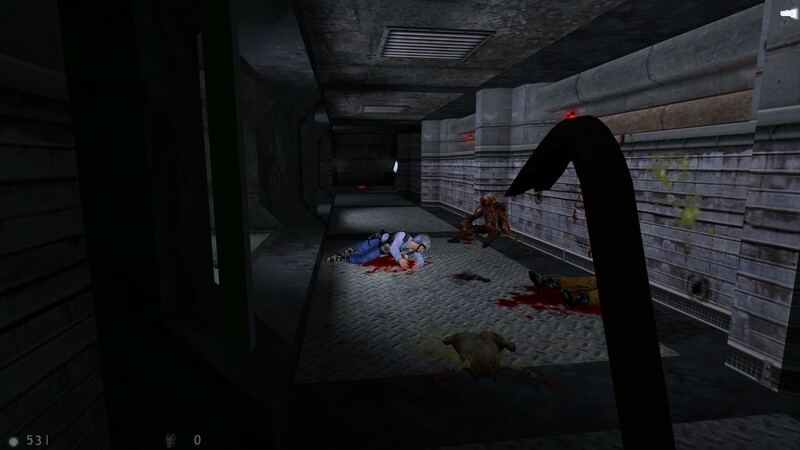 More generally, the whole mod uses Half-Life’s narrative devices well, lightly sprinkling the plot through overheard conversations, while letting scripted scenes perform most of the explication. Echoes is only a short mod, completable in no more than three hours. But not a moment of its running time is wasted, and it packs in a truly impressive number of memorable moments into that brief running time. It’s a superb, expansion-quality mod, and a must-play for any Half-Life fan.